Lt. Governor Chin recently met with Zhang Ping, the Consul General of the People’s Republic of China in Los Angeles, California. 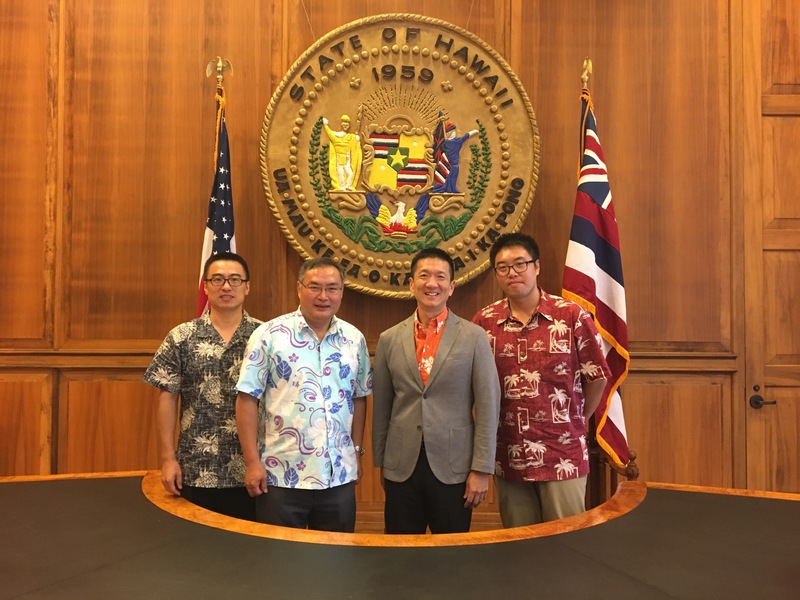 It was Consul General Zhang’s first courtesy visit to Hawaii since assuming his latest position in November 2017, which covers California, Arizona, Nevada, and Hawaii. 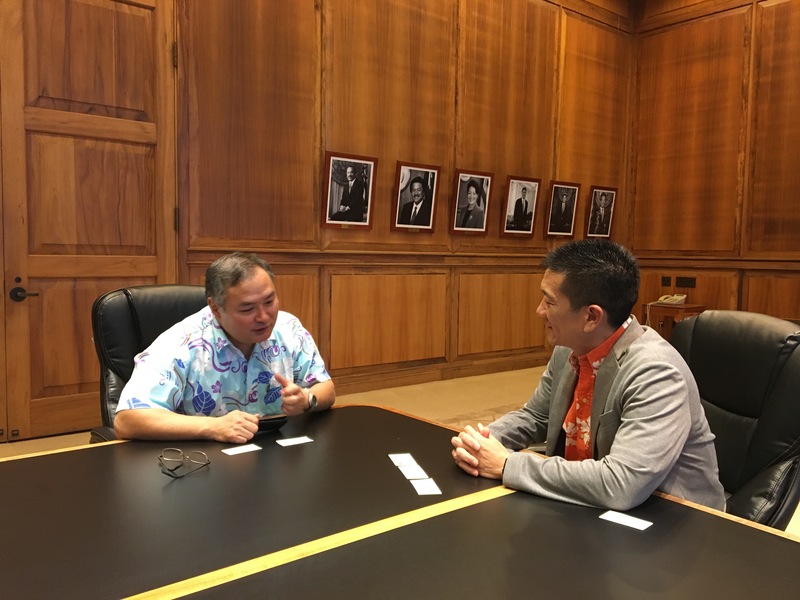 Because approximately 200,000 tourists from China visited Hawaii last year, Consul General Zhang wanted to see Hawaii and meet with members of our state government. He and Lt. Governor Chin discussed cultural and business opportunities and the Green Global Island Summit, which Lt. Governor Chin attended and met representatives from Hainan, China. Lt. 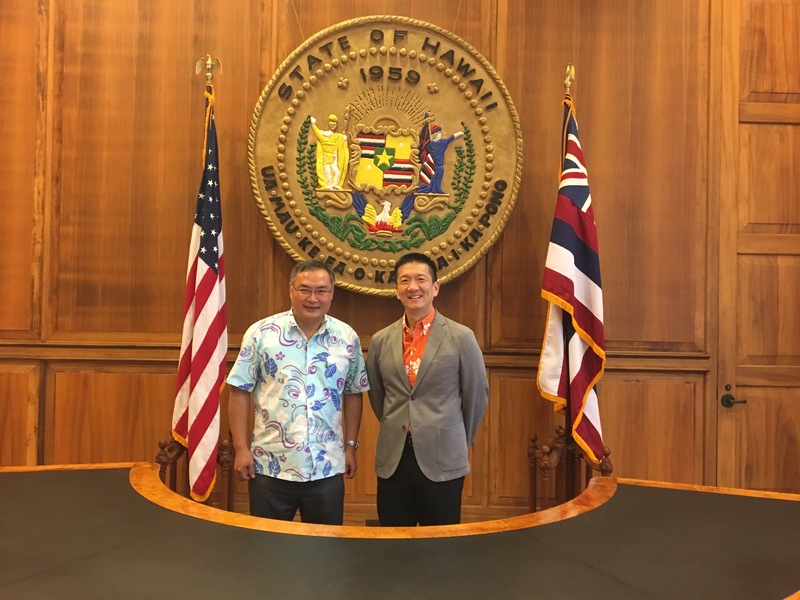 Governor Chin emphasized that the State of Hawaii is always interested in expanding global partnerships and generating economic opportunities with other countries. Consul General Zhang was accompanied with Shao Junying, Consul and head of political section, and Yu Quanlong, Deputy Consul and Secretary to Consul General.